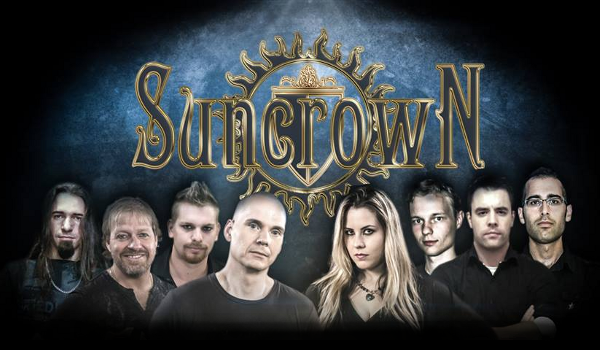 Multinational Symphonic metal band SUNCROWN has just released their second album "You Are Not Alone" on January 10th 2014, following the successful release of their first album "Follow Your Dream" (2012). The new release continues the theme of community, self empowerment, and hope in mankind which embodied the epic first release. The band with members from 6 different countries (USA, Barzil, Ukraine, Netherlands, Norway, Turkey) spread across 4 different continents. On the opening track "The Beginning Is Near" the NWACC (North West Arkansas Community College) Chamber Singers bring an extra layer of richness to the song. Their first ever ballad "Just Like You" features an international cast of Players and Singers; Yaniv Taubenhouse (Piano and Piano Transcription) Israel, Anusha karthick (Vocals) India, Daniztin Dogan (Vocals) Turkey, Rochelle Bradshaw (Vocals) Jamaica and Ember Lanuti (Vocals) Canada. The lyrics for "Grandfather’s Song", written by 82 year old Brooks Rice, which imparts the knowledge and lessons learned through the journey of his life. 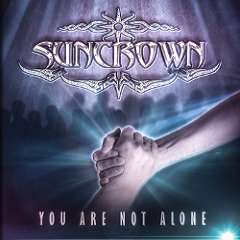 "You Are Not Alone" is now available for digital download on SUNCROWN website.